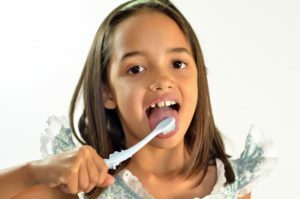 With February being National Children’s Dental Health Month, your children’s dentist in Sugar Land thought it would be useful to write about the basics of oral care for your child! Whether you’ve been a parent for years or you are expecting, oral care is tremendously important for your child’s development. When it comes to tooth decay, children are the most vulnerable. According to the CDC, it’s one of the most common chronic conditions of childhood in the United States. Between 2005 and 2008, 1 in 5 children aged 5 to 11 years of age had at least one untreated decayed tooth. One out of 7 adolescents aged 12 to 19 had at least one untreated decayed tooth as well. It’s just another reason why your child needs to visit the dentist and develop good oral care habits now. Your teeth are part of what makes you, you. They play a pivotal role in that winning smile of yours! Unfortunately, though, sometimes you might have to part with one of those beloved pearly whites. 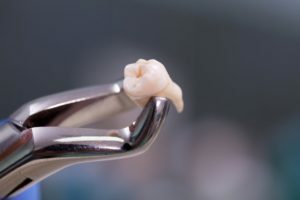 Your dentist in Sugar Land will do everything possible to help you maintain a complete set of natural teeth, but that may not always be an option. What are some circumstances under which an extraction may become necessary? Choosing a Friendly Dentist in Sugar Land Just Got Easier! 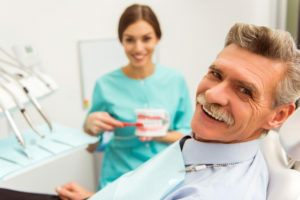 When it comes to your family and their health, there are a few things that you simply need to have ready to get by—one of them being a reliable dentist. In this week’s blog post, we’re going to explore Dr. Cindy Hua, an expert dentist in Sugar Land, and everything she can bring to the table for your and your loved one’s oral health. Comments Off on Choosing a Friendly Dentist in Sugar Land Just Got Easier! What’s one of the first things people notice about you? Your smile! It makes total sense for people to feel less than confident when they have flaws in their front teeth. If you’re ready to make improvements to your smile, porcelain veneers in Sugar Land may be right for you. With veneers, you can fix a number of imperfections with a single procedure! You probably haven’t met him, but your neighbor Leonard Andrews knows how important a confident smile is. 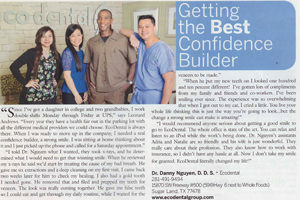 That’s why he visited Dr. Danny Nguyen, your dentist in Sugar Land, when it was time to move up in his company — he wanted to make a big impression. Welcome to EcoDental: We’re Accepting New Patients! If you’re new to Sugar Land, Pearland, or one of our nearby communities, we know it’s easy to let finding a new dental office home fall to the bottom of a lengthy to-do list. We just want to let you know that EcoDental is here whenever you need us. We’re alway accepting new patients, and our skilled dentistry team goes above and beyond to give patients a dental care experience that exceeds the very highest expectations. From comfortable patient amenities and convenient office hours to comprehensive dentistry services that are environmentally friendly, EcoDental will change the way you think of visiting the dentist. Comments Off on Welcome to EcoDental: We’re Accepting New Patients! As dentists, we already know a smile is an invaluable thing. We see the difference beautiful, healthy teeth make for people all the time — so we love when interesting research comes out that can help other people (you know, non-dentists) better understand the power of a smile! Case in point: an article in Forbes magazine that examines The Untapped Power of Smiling. First published in 2011, it’s an oldie but a goodie. Keep reading to learn why your cosmetic dentist near Arlington Heights is excited to share the news in this week’s blog post! 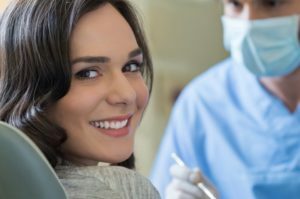 What is an Eco-Friendly Dental Office? 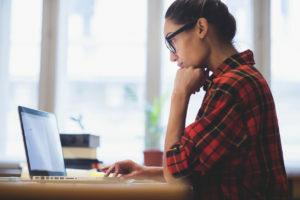 Today, many people are becoming increasingly concerned about limiting their negative impact on the environment, and while many are recycling, planting trees, reducing waste, using alternative energy sources, and carpooling, they aren’t necessarily looking at the places they shop or receive dental care to do the same. 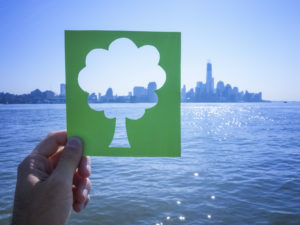 An eco-friendly dental practice may not seem that important, but dental offices are notorious wasters of resources like paper, water, and one-use-only tools. If you are trying to limit your eco footprint, make it a point to look for a dentist who is too. If you hold yourself up to a high environmental standard, isn’t it time you expected the same from your dentist? Comments Off on What is an Eco-Friendly Dental Office?